Article written by Highlands County Master Gardener Volunteer: Charles Reynolds on October 1st, 2017 for the Highlands Today Newspaper. The Master Gardener Help Desk gets dozens of questions about that All-American fruit, or vegetable, whoever you talk to, the avocado. Actually, “All-Tropical-American fruit” would be a better moniker as you can tell by their three major groupings; Guatemalan, West Indian, and Mexican. The characteristics of each are slightly different and as usual, over the years gardeners had to hybridize them ad-infinitum. To select the best avocado for your particular site, the University of Florida has put together a 12-page guide called, conveniently; “Avocado Growing in the Florida Landscape”. You can check it out at: http://edis.ifas.ufl.edu/mg213 for the latest and greatest information on individual varieties with charts, diagrams and what not to guide the homeowner. There are at least 50 varieties; green, black, red, some with bumpy skin, some with smooth skins and every color, taste and texture in between. There are a few attributes that apply to all avocado varieties. The most important is that although their flowers are bisexual, meaning they are self-pollinating, on some varieties, the male and female parts function at different times of the day (just like some people I know). This means the avocado needs help to get the pollen to the right place at the right time. Wind, bugs and rain all play a part in this process. Fortunately, the University’s website has classified the different varieties for us into A; morning opening flowers that have afternoon pollen release and B; Afternoon opening flowers that have morning pollen release. To ensure pollination it may be best to plant one A type and one B type in the same general area. For a printout of the University’s Guide for Growing Avocados call or visit the Help Desk at the Extension Office Monday – Friday from 9:30am to 3:30pm located at: 4509 George Blvd. Sebring, FL 33875. 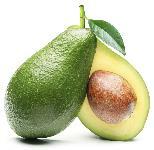 When selecting an avocado tree try to pick one two to three feet tall in a 3-gallon pot. Plant in a sunny spot in a well-drained area, avocados do not like “wet feet”. Be sure you allow 20 to 30 feet around the tree for growth as well as 20 to 30 feet above, keeping a lookout for eaves, power lines, and other trees etc. Mites, aphids and scale, are usually cosmetic, meaning they cause an ugly but edible fruit. However, there is a fairly new disease called laurel wilt that is uniformly fatal to avocados, redbay and sassafras trees. Laurel wilt is transmitted by several types of beetles that bore into the cambium of the tree carrying a fungus that rapidly spreads within the avocado tree and chokes the vascular system killing the tree. 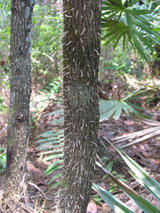 Check your avocado tree for strings of sawdust protruding from the trunk, a sure sign of a burrowing beetle. Some success has been reported by cutting off the dead limbs as soon as a decline is noticed and there is also some speculation that certain avocado varieties are resistant to the fungus. No one is naming names yet on which are resistant, so as soon as we know we’ll be sure to get the word out. Have you ever put an avocado seed in a glass of water and watched it sprout? This is a good teaching aid for your children but don’t plan on getting the same avocado tree the seed came from. Hybridizing has caused a mish-mash of DNA to collect in the seed possibly causing inedible fruit. Personally, I do not want to wait 6 or 7 years watching an inedible avocado grow. Planting cuttings will be a better choice if you are inclined to get a copy of an avocado tree you like.